Fans went absolutely crazy for last night’s Coachella headliner—Beyoncé herself. 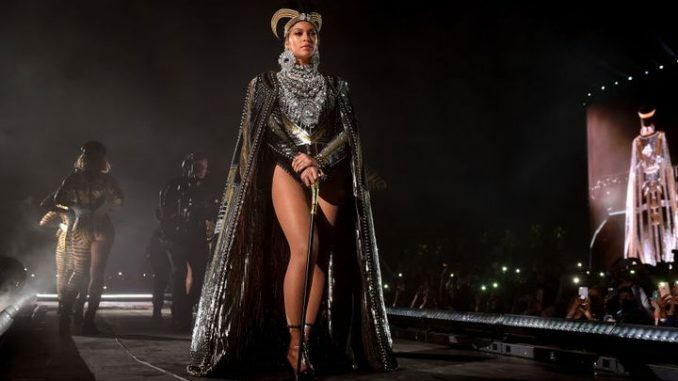 Renaming the festival “Beychella,” fans took to twitter to express their pure hysteria at the performance, a performance which made history, as Beyoncé was the first woman of color to headline Coachella. The set, which lasted almost two full hours, was full of iconic Beyoncé songs, including those from her past and most recent album, Lemonade. Not only did Beyoncé deliver a stellar performance by herself, she also allowed her husband, Jay-Z, her sister Solange, and former mates of Destiny’s Child to perform some of their greatest hits with her as well. Fans are not even referring to the moment as a Coachella performance, but now a historical event that will definitely be remembered as Beychella. The performance featured over 100 performers, many of which were artists of color who danced, played, and sang along with Beyoncé.